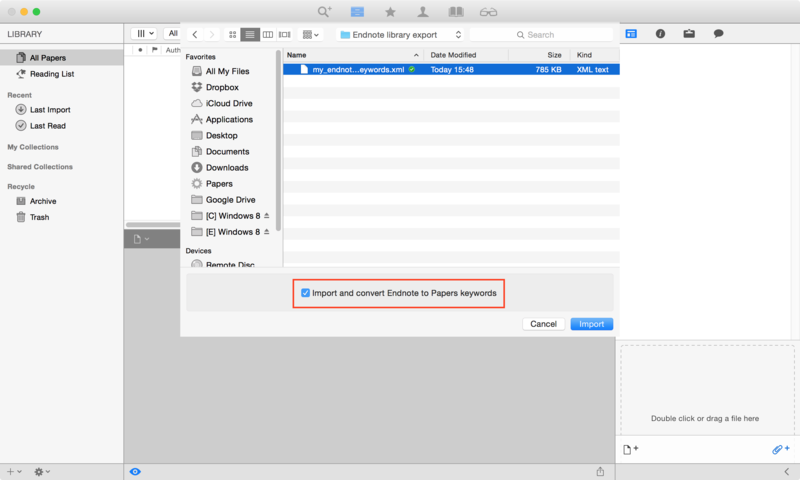 You can easily import your Endnote library to Papers by simply exporting your Endnote library as Endnote XML and importing the exported .xml file to Papers. However, if you have organised your Endnote library with groups, how can you get the same group categories to Papers? Read on to find out! Endnote does not export the group structures from the library so it is not possible to just recreate the groups as collections in Papers. The solution is to select all references in each group and add a keyword named after the group name. When you export the Endnote library as Endnote XML to Papers and choose the option to 'Import and convert Endnote to Papers keywords' the keywords will be imported as Papers keywords. 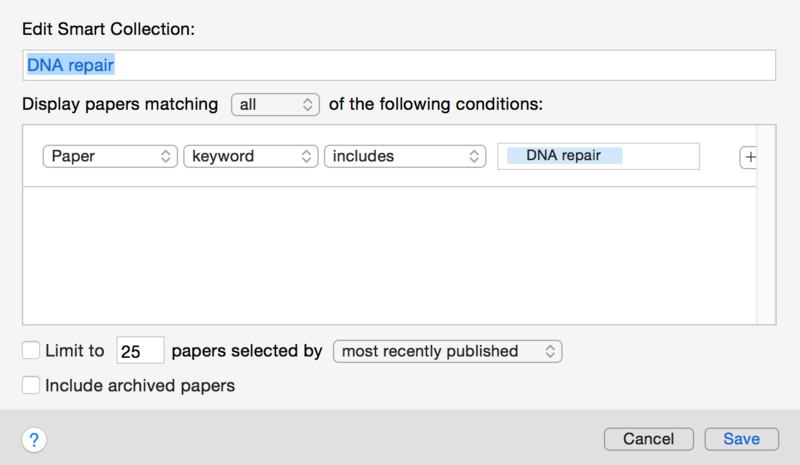 You can then create smart collections based on keywords and your Endnote groups are recreated in Papers. Continue to read below for detailed instructions. How to add keywords to references in Endnote Groups? In Endnote, select a 'Group' and select all entries within the group (click on the first entry, hold shift, click on the last entry). 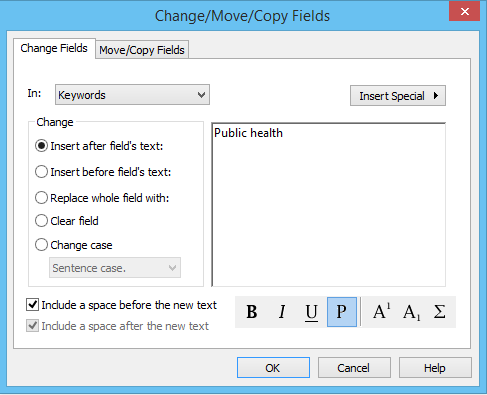 In 'Change fields' - select 'Keywords' from the dropdown list. Select 'Insert after field's text' and type in your Groups name and click 'Ok'. Export your library by selecting all the references, go to File > Export and make sure that 'Save as type' is set to XML. For more detailed instructions see this article. In case your Endnote library already has existing keywords, make sure that the keywords are separated with a semicolon (;). 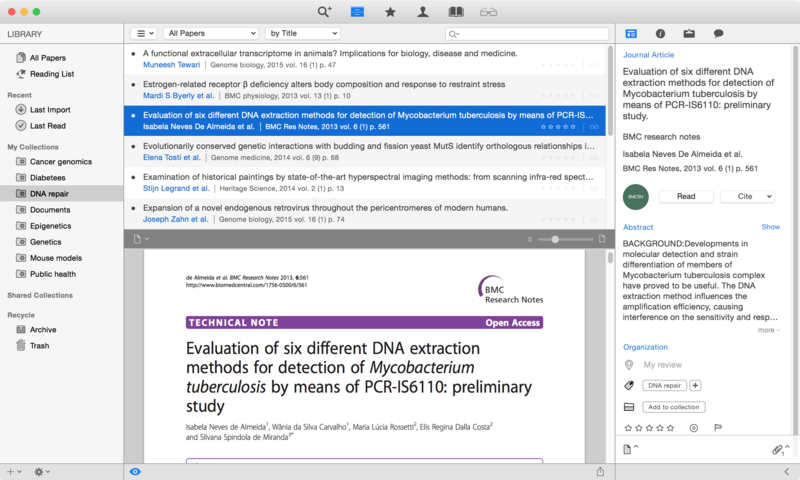 How to import an Endnote library with keywords to Papers? 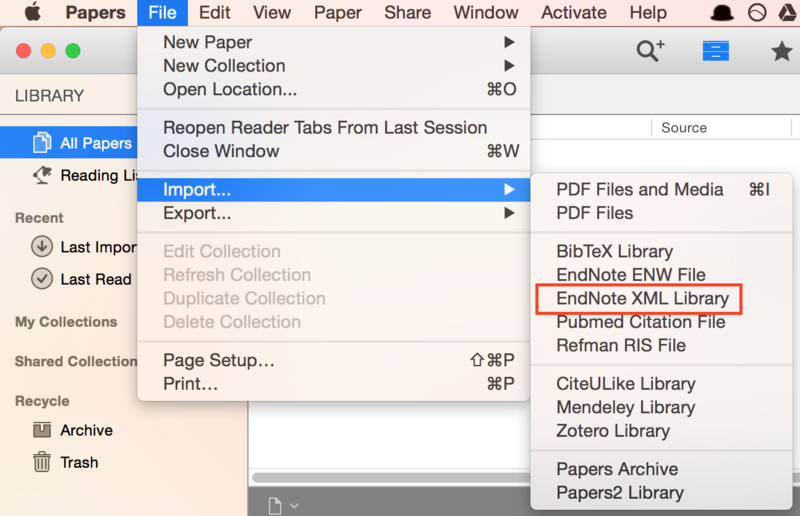 Start Papers and go to File > Import > Endnote XML Library. Point to your exported EndNote library. 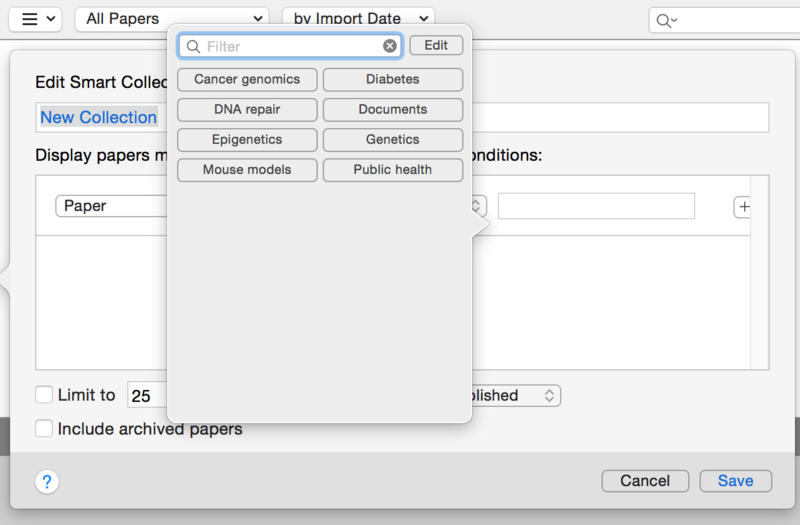 Make sure that you select the option 'Import and convert Endnote to Papers keywords'. Finally, click 'Import' and your Endnote references are imported to Papers. How to create smart collections based on keywords? 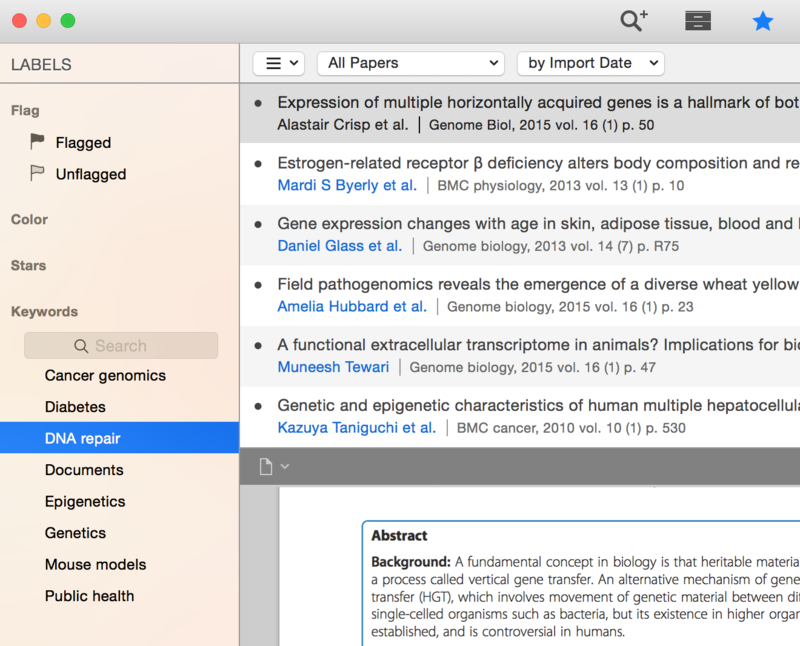 Once the library import has finished, you can check that the keywords and the associated references are shown in Papers by going to the Labels screen. Go back to the Library screen and go to File > New Collection > Smart Collection. A new empty Smart Collection is created under My Collections and the smart collection editor should be opened. If the editor doesn't open automatically, right-click on the smart collection and choose 'Edit Collection...'. Click on the text field and a keyword selector appears showing all the keywords in your library. Select a keyword so that it appears in the text field. Finally, remember to rename your smart collection and click 'Save'. Congratulations, you have now recreated your Endnote library group as a Papers smart collection and all papers associated with the selected keyword can be found inside the smart collection.